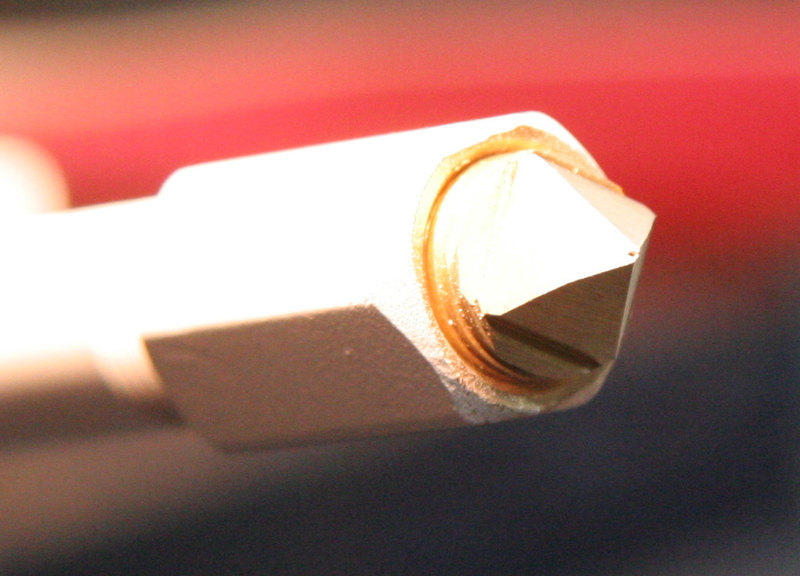 § 10 Responses to Hercules Extruder"
Using brass inserts is a good idea — good conductivity and widely available! Note: a sanguino has more I/O pins, and might make this easier to control along with three other motors for the axes of a cartBot. 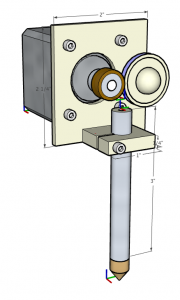 Zach (original author of the arduino firmware for reprap) has a preliminary discussion/specification for the refactor. I’m developing a desktop emulator which will allow me to test the major subcomponents prior to uploading to the arduino. 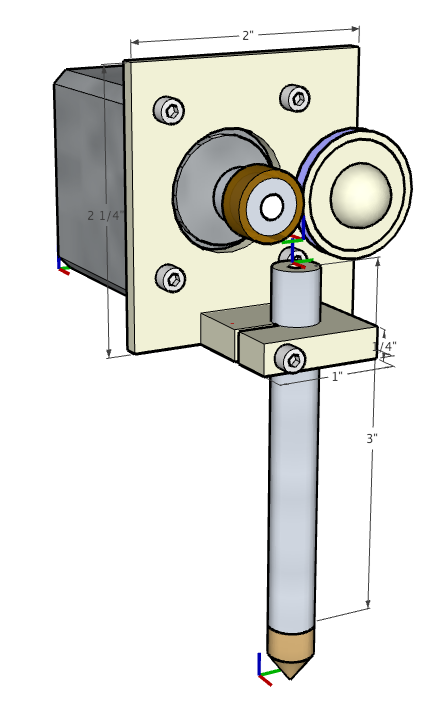 This is going to be a lengthy process because I don’t have a working ‘standard’ reprap, so I need to ensure compatibility while enabling the actuator and extruder abstraction. You’re going to run out of pins on a standard Arduino. I have been talking to Simon McAuliffe about resurrecting the I2C concept – nice and easy to implement, I/O expanders available off-the-shelf and Arduino support already provided. 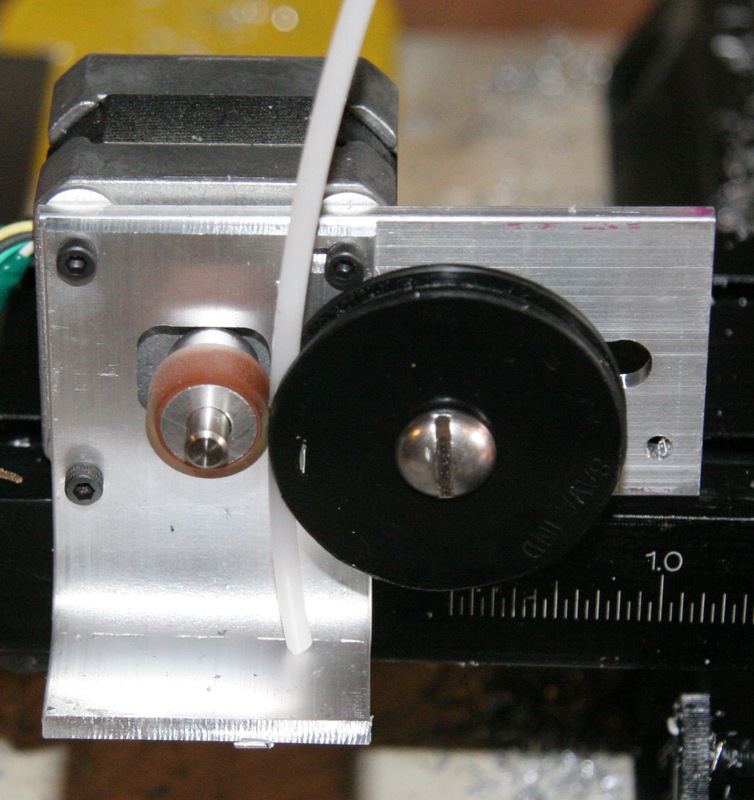 You are currently reading Hercules Extruder at OoeyGUI.